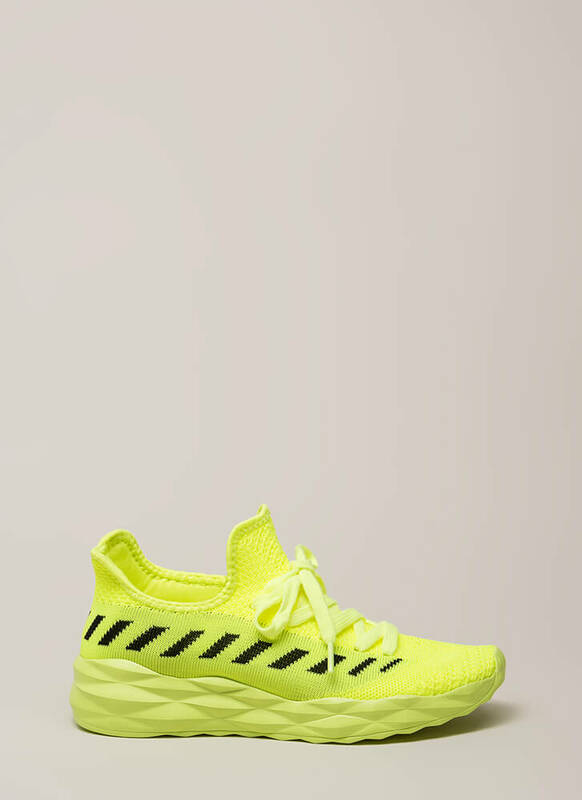 Why did we cross the road? 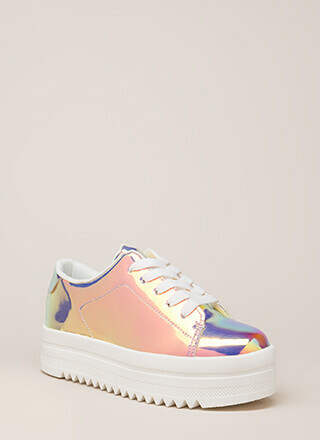 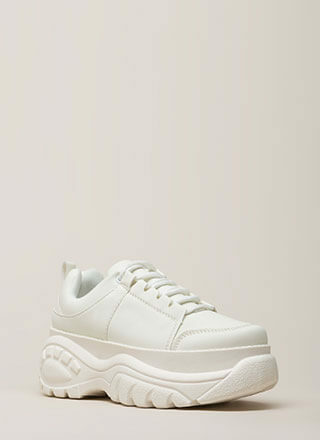 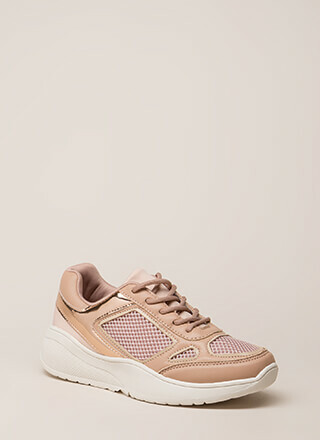 To get to these tennies, duh! 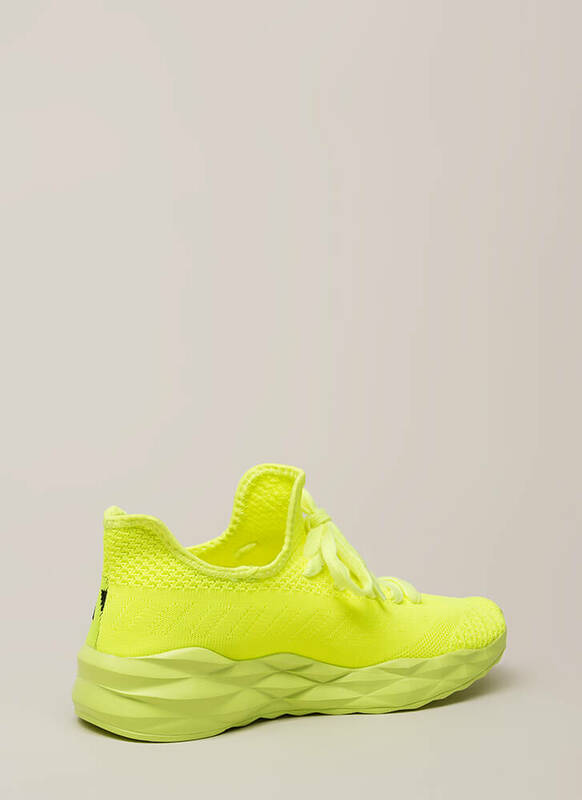 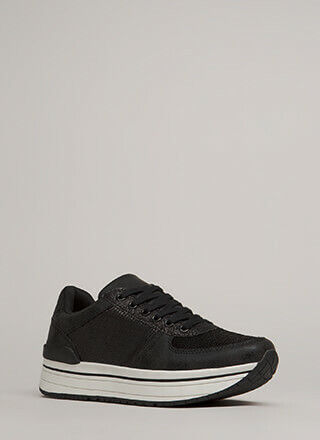 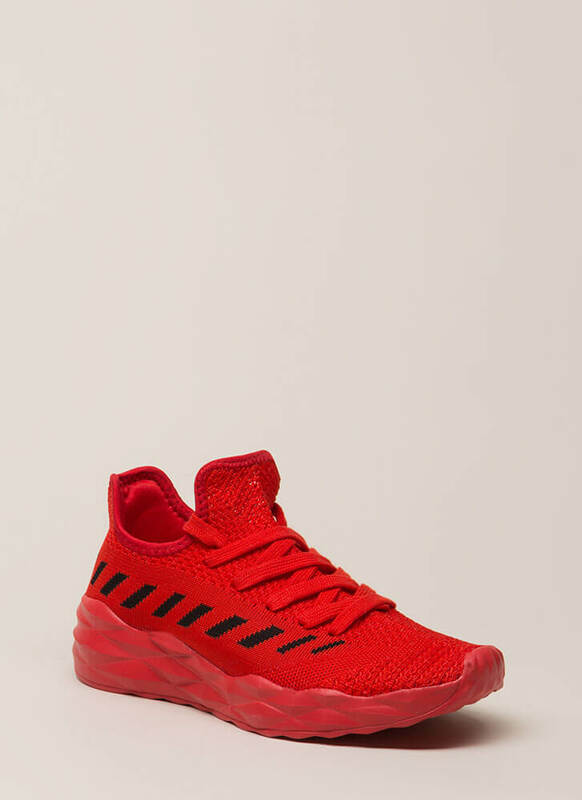 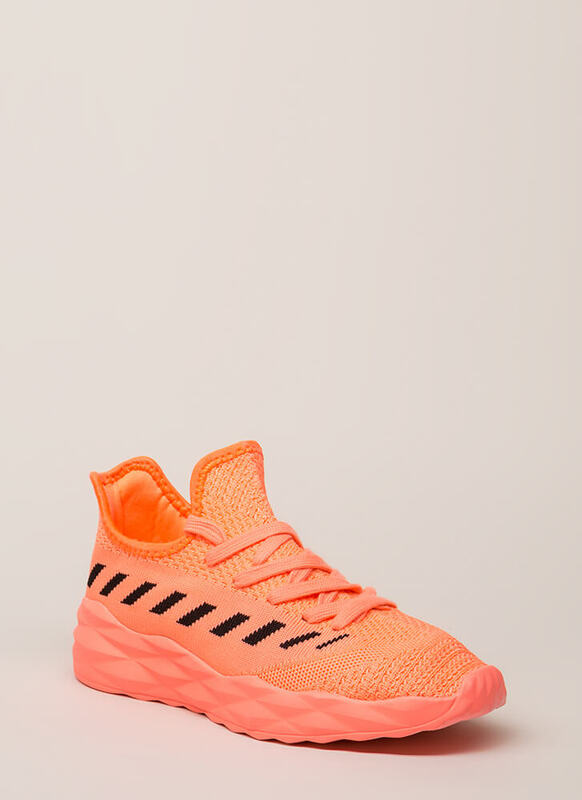 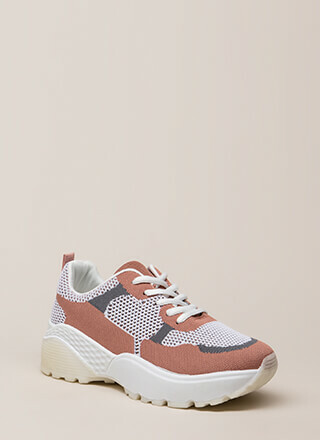 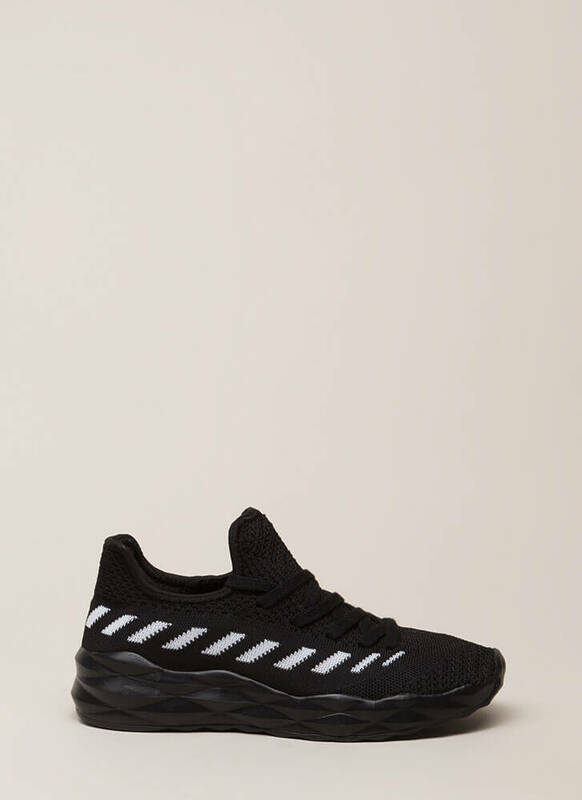 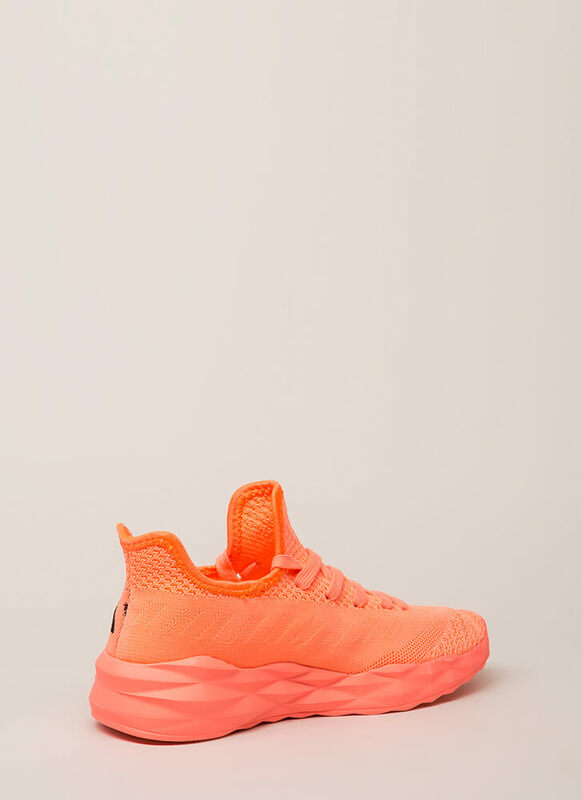 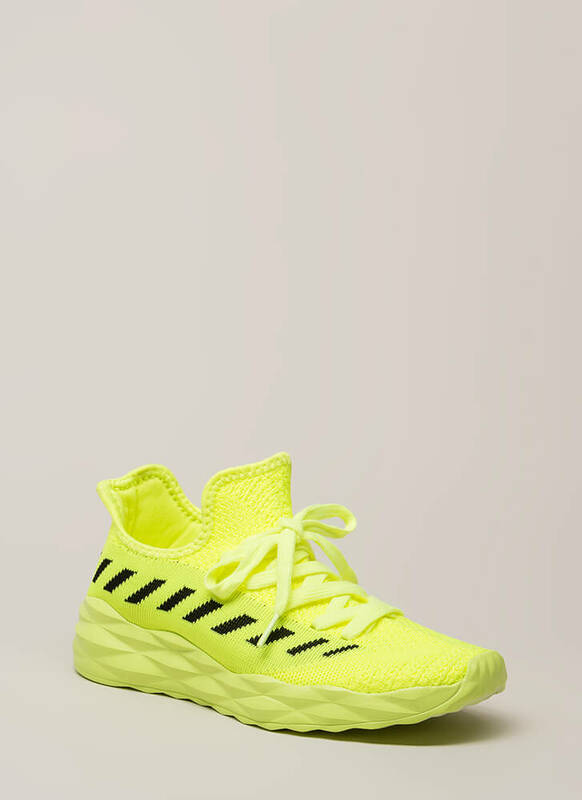 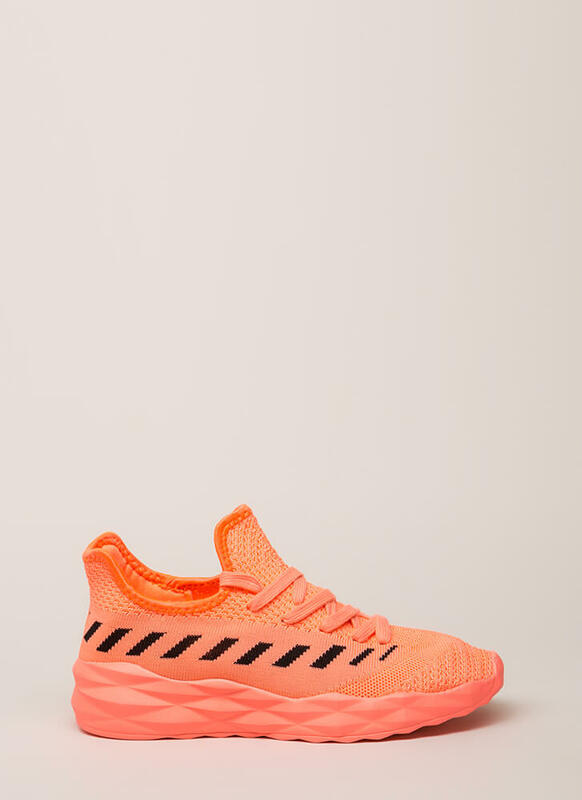 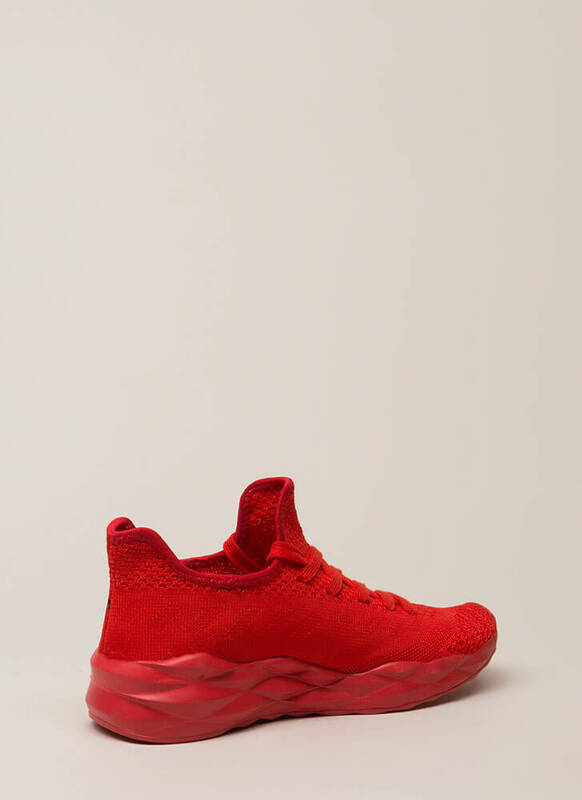 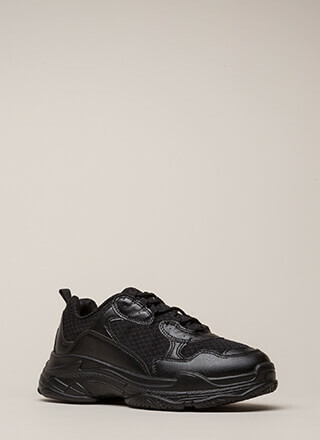 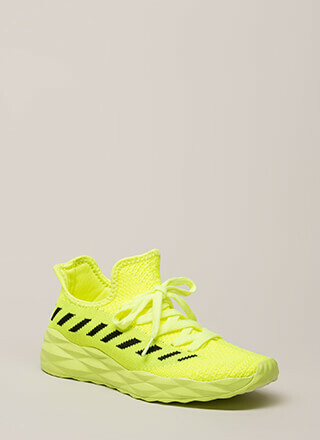 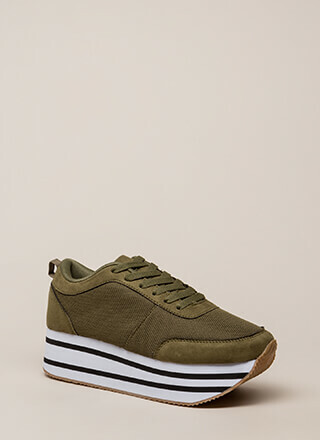 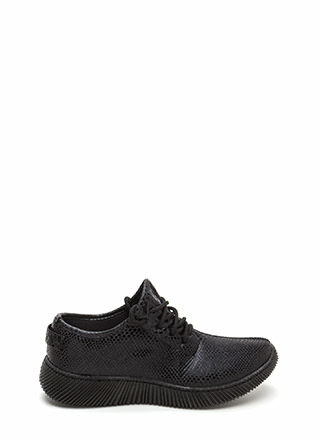 Knit sneakers feature a lace-up upper with flat woven laces, an opening with scooped sides and a faux tongue, striped accenting on the sides for a crosswalk effect, and a dimensional platform with a patterned sole.